i am curious to know your views, dear xforum visitors. 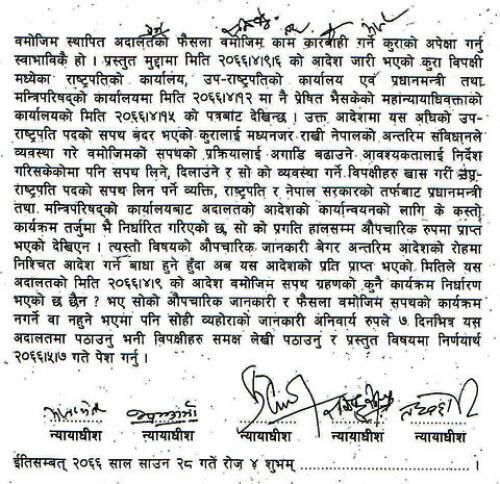 vp says he will not abide by the supereme court decision, then don't we, common folks, too have the right, not to accept him as our vp, why should we obey the law of nepal and pay tax, if vp feels he doesn't need to obey it. 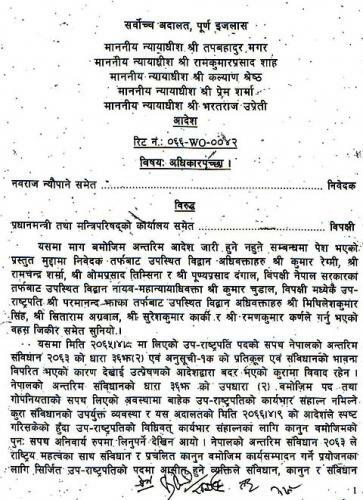 now no one is above law in nepal, even the president and vp is not exempt from it. pls post your views in this. lau ja ke ke sunna parne ho!!! Page created in 0.639 seconds with 19 queries.